It is important to get a good night’s sleep, but there are many who don’t get enough sleep, or wake up many times during the night or just lie on the bed wondering how long it will take to fall asleep. The statistics are alarming, almost 60% of Americans experience sleeping issues every night. This is definitely not good news because the benefits of getting adequate sleep are very obvious. It helps in keeping the heart in good health, having less stress, getting better memory and even in weight loss. 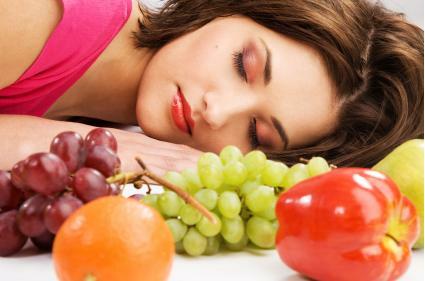 In this article, we will discuss some natural sleep remedies which are effective, so you will not need to count sheep anymore. It is important to form an internal time clock, which regulates your sleeping and waking time. To develop this, you should go to bed at the same time every day, even on holidays. It reduces the time required to fall asleep. Sleeping till late on weekends causes the biological clock to disrupt and leads to sleep problems. Research conducted by the Neurobiology & Physiology Department of Northwestern University has found that people who had sedentary lives previously and then took up aerobic exercise four times a week have better sleep quality. They also have lesser sleepiness during the daytime and lesser symptoms of depression. It is important not to work late in the night, which keeps the brain stimulated and active. Trying simple yoga poses can also help in falling asleep quickly. Research conducted at John Hopkins University School of Medicine has found that smokers do not feel well rested after a night’s sleep as compared to non-smokers because of the stimulative effect of nicotine and withdrawal from it during night time. Alcohol is also responsible for disrupting the sleep pattern and interfering with the brainwaves which cause you to feel refreshed in the morning. Smoking and alcohol also cause other sleeping problems. Clinical Psychologist Michael Breus, PhD, has authored the book The Sleep Doctor’s Diet Plan. He says that since you cannot switch on and off sleep, you need to practice a routine called as the "Power-Down Hour". The first 20 minutes of the hour should be spent in completing any chore that needs to be done, followed by the next 20 minutes of washing-up, brushing teeth and changing in to night clothes. The last 20 minutes should be spent lying in bed and meditating. All negative thoughts must be removed and focus should be maintained on breathing. Avoid any chores at this time. According to researches, the optimal room temperature for sleep is 60-68 F degrees. Researchers at Pittsburgh University have found that if insomniacs wear a special cap, which can lower their body temperature, they would fall asleep as quickly as other people without sleep issues. This happens because the cooling cap reduces the metabolic activity of the brain and sets a normal sleep cycle. Even without the cap, it is suggested to keep the bedroom cool and wear loose, breathable clothes. We use the phone all the day along with the laptops and tablets. According to the research conducted by University of Basel, they produce blue wavelengths which suppress the production of melatonin, which is responsible for making us sleeping. Another research at Osaka University has reported that devices which emit light keep the mind engaged and stimulated, which leads to poor sleep. For this reason, all the devices like laptop and ipad should be kept away during night time. According to Hope Gillerman, a certified aromatic healer and creator of H. Gillerman Organics, smelling a rose or using aromatherapy oils is the best sedative. Taking 4-5 drops of oil on tissue and taking 10-15 deep breaths is beneficial. Essential oils containing lavender can be used if you are upset. Oils of spikenard, vetiver, frankincense, myrrh and clary sage are also helpful in promoting heavier and restorative sleep, especially when you are anxious due to work or money. One should avoid foods which contain caffeine by late afternoon. Examples of such food are coffee, tea, soft drinks and chocolate. Staying away from spicy and heavy foods is also advised because they keep you awake due to heartburn and indigestion. Warm milk before bed is known to work wonders for insomnia. Similarly, almond milk helps in production of melatonin, which helps to form sleep regulation. It is also rich in calcium. Cherry juice contains high levels of melatonin and can also be helpful. If there is lack of magnesium, it can prevent the brain from going to sleep at night. You can include foods rich in magnesium like almonds, green leafy vegetables, pumpkin seeds and wheat germ. If you want to take supplements, doctor should be consulted before taking them. Since ancient times, valerian root has been used to treat sleep problems. If it is tried as a remedy, one has to be patient, as it can take few weeks to show effects. It is good to consult the doctor prior to taking it and all the directions on the label should be followed.